Promenade Dental Care is conveniently located just minutes from the center of Ridgewood, New Jersey in the Fair Lawn Promenade. Dr. Yiska Furman and her expert team offer comprehensive oral health care services for the entire family in one comfortable location. Their state-of-the-art dental office utilizes the latest dental technology to give you the best care possible. Whether you or another member of your family needs a dental check-up, are experiencing problems with your teeth or gums, want to learn more about dental implants that replace missing teeth, or you want to find out how cosmetic dental procedures can give you a vibrant new smile, Promenade Dental Care offers the exceptional dental health care you deserve. Our mission is to furnish a nurturing and warm environment that makes your entire family feel at home. We love getting to know our patients, and look forward to learning more about you, and discovering makes you unique. Knowing you and your family allows us to give you the personalized care that makes for an enjoyable dental visit. We hope you will read through the content on our website and learn more about dentistry and the dental care we offer. If you have any questions about our practice, or would like to schedule an appointment with Dr. Furman, please give us a call. Call for an appointment 201-797-0015 or take a tour of our office today! 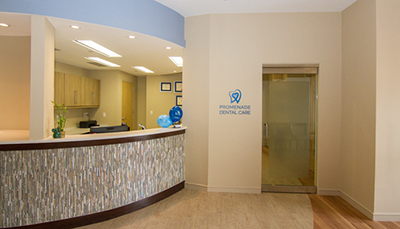 Promenade Dental Care serving Fair Lawn, Fair Lawn Promenade, Route 208, Fair Lawn Ave , 07410, NJ, New Jersey, Hawthorne, Glen Rock, Elmwood Park, Bergen County, Ridgewood, Paramus, Saddle Brook, Garfield, Maywood, Lodi, Oradell, River Edge, Waldwick, Wyckoff. We offer Dental Bonding, Invisalign, Lumineers, Veneers, Mercury Free Fillings, and Cosmetic Dentistry. Call us today at 201-797-0015!